As summers approach and the heat increases, many of us are slathering on the sunscreen. Some of us even dread moving outdoors at all. But not exposing the bodies to the sun at all also means our bodies will be deprived of Vitamin D – an essential nutrient to maintain a healthy immune system, strong bones and teeth as well as optimal hormone functions within the body. This Vitamin is not present in any plant or animal food. So a sunscreen is our best bet to step out in the sun and get some ‘sun-nutrition’, without the fear of tanning our skin. As with all beauty remedies, you can go au naturel, or rely on something out of a tube or bottle. There are some advantages and disadvantages to be considered when deciding between homemade DIY sun protection beauty treatments or those bought in a store. Branded sunscreens available in the stores are definitely easier and quicker to apply. They also have a higher Sun Protection Factor (SPF) and are mostly waterproof. 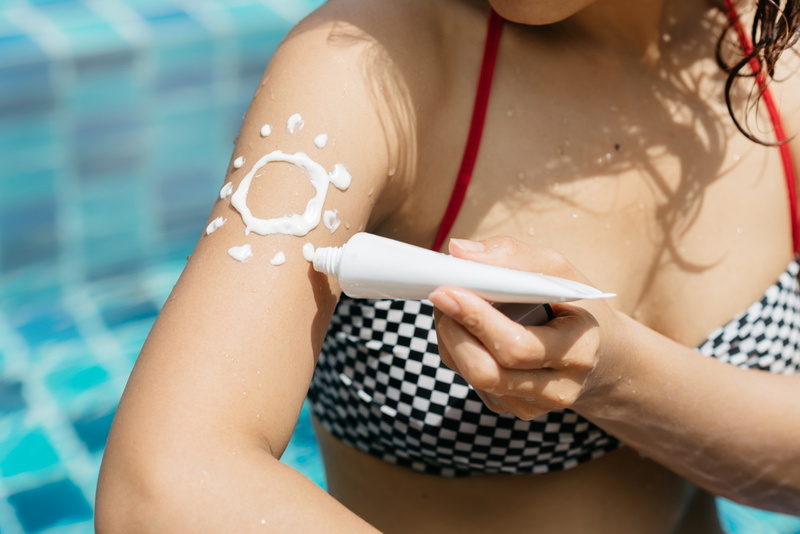 But research has shown that a lot of these sunscreens do more harm than good – causing irreversible hormonal changes and sometimes, even cancer – because of the chemicals present in them. Another choice that has to be made is between liquid homemade sun-block (that is easy to apply, but typically has a lower SPF, whitens skin and isn’t very waterproof) and solid sun-block (available as soap-like bars) that may be waterproof, but does whiten skin slightly and is a process to apply. 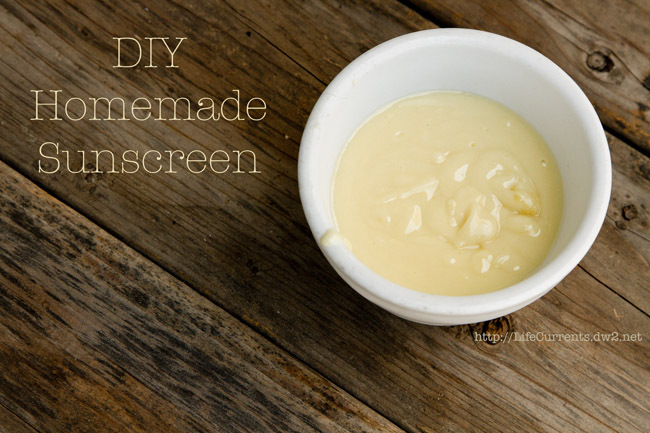 Also, both forms of homemade sunscreen may have lower SPFs than most branded sunscreens – so you need to keep applying them every now and then. 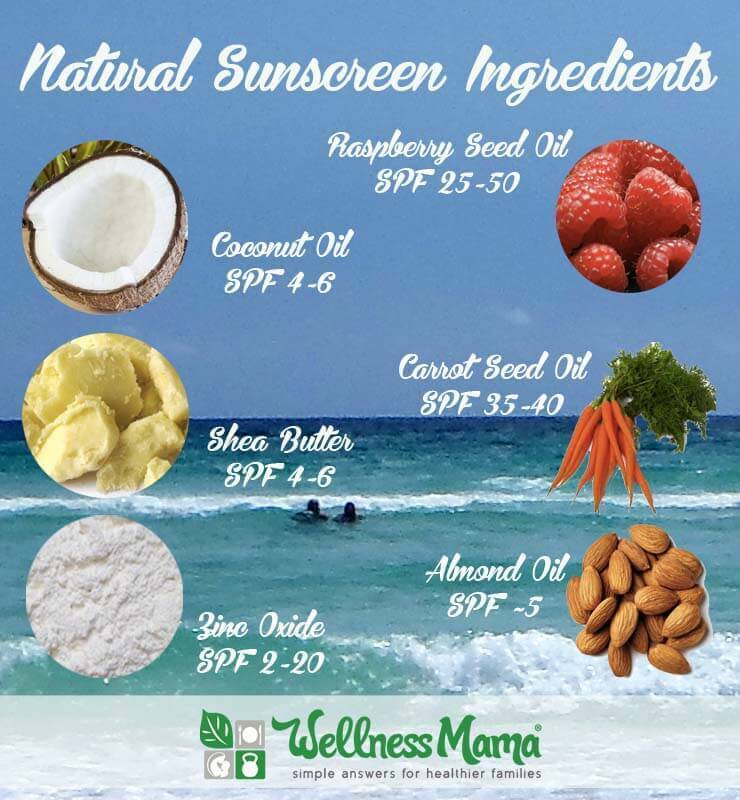 While SPF of homemade sunscreens depends on individual ingredients (coconut oil, on its own, for example, has an SPF of around 6-7), DIY recipes can be made to have SPS of around 20 – which is adequate protection from the sun in moderate climates. The sun protection factor (SPF) is determined by the amount of sun-blocking component (usually zinc oxide) that is added into the sun screen. The quantity may be increased moderately to suit individual needs. It must be remembered that the zinc oxide being used to make sunscreen at home must be in a pharmaceutical grade, “non-nano” powder form that won’t be absorbed by the skin. Also, be sure to use a mask while mixing in the zinc oxide – you must never breathe it in! 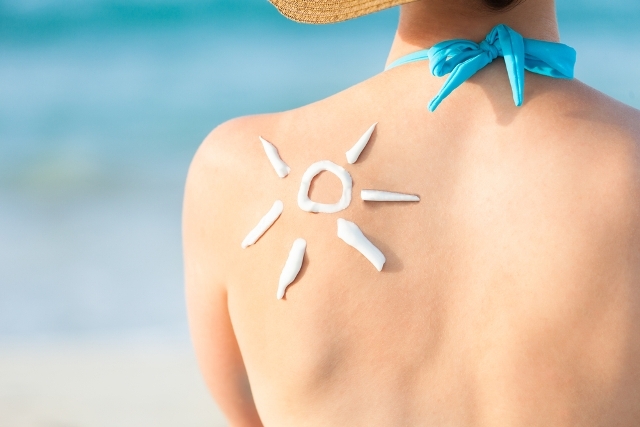 Here are 3 DIY sun protection beauty treatments to prepare at home. Method: Melt the shea butter and coconut oil together in a double boiler until ingredients are softened. Remove from heat and stir in zinc oxide (wear a mask). Add the essential oils. Pour into container. Let cool completely before use. Store at room temperature. Method: Combine ingredients except zinc oxide in a pint sized or larger glass jar. Fill a medium saucepan with a couple inches of water and place over medium heat. Put a lid on the jar loosely and place in the pan with the water. As the water heats, the ingredients in the jar will melt. Stir them gently every now and then to mix thoroughly and achieve a uniform consistency. When all ingredients are completely melted, add the zinc oxide, stir in well and pour into whatever jar or tin you will use for storage. Small mason jars (pint size) are great for this. It will not pump well in a lotion pump. Stir a few times as it cools to make sure zinc oxide is incorporated. Use as you would regular sunscreen. Best if used within six months. Method: Finely grate the beeswax. In a double boiler, melt the beeswax, cocoa butter, and coconut oil until liquid. Remove from heat. Slowing whisk in the zinc, stirring until all lumps are gone. When this mixture is slightly cooled, stir in the liquid oil until well combined. 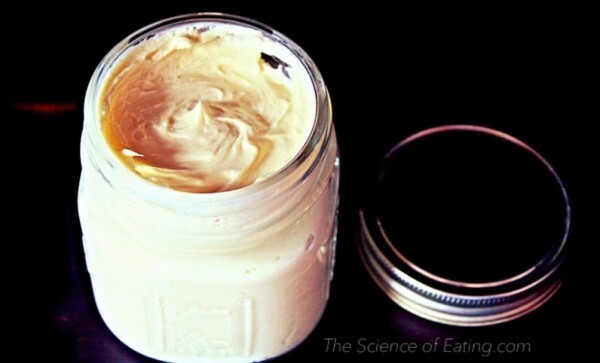 Use a butter knife to scoop the sunscreen into glass jar with a lid.